“We will create a second Google or second Facebook!” If you heard that, what would you think? Some of you might think, “No, it’s impossible”. But today’s “Big Generators” introduces a man who makes it his mission to realize such a thing. 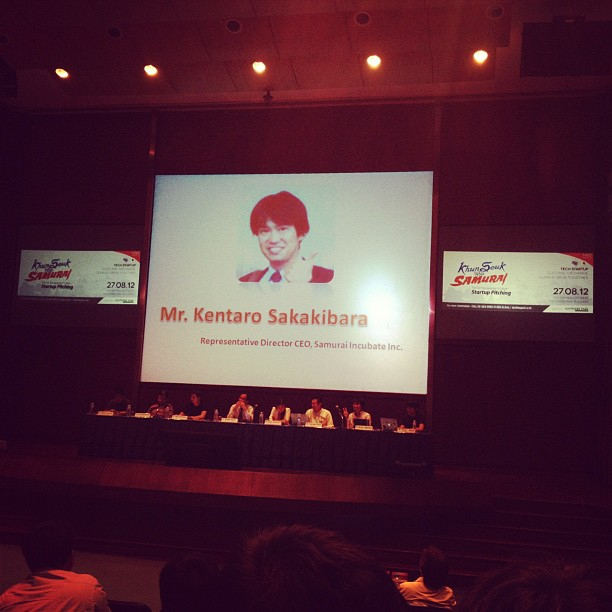 Kentaro Sakakibara, President of Samurai Incubate Inc.
We got to know about him in April, 2012. 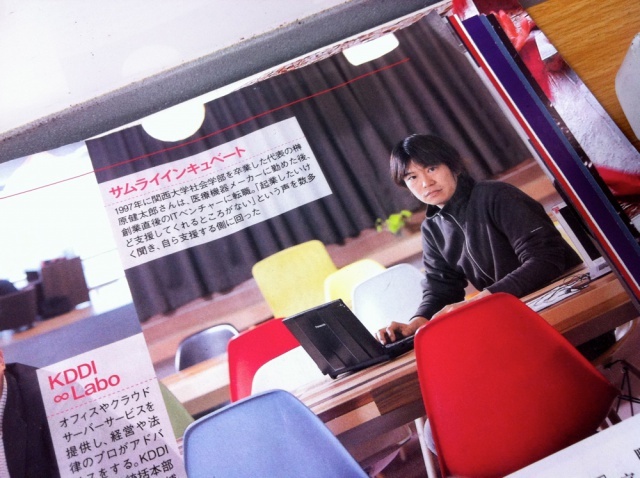 We found him in a magazine which featured Japanese entrepreneurs who were aiming for a global expansion and their supporters such as incubators and investors. The word “Samurai” was burned into our brains. Also there were other impressive words; “Whether you can do it or not isn’t the point at all. Whether you DO it or not will change the world!”. We’ve interviewed those who are actually struggling to change the world, so we wanted to hear from a man who makes his intention to do that clear. 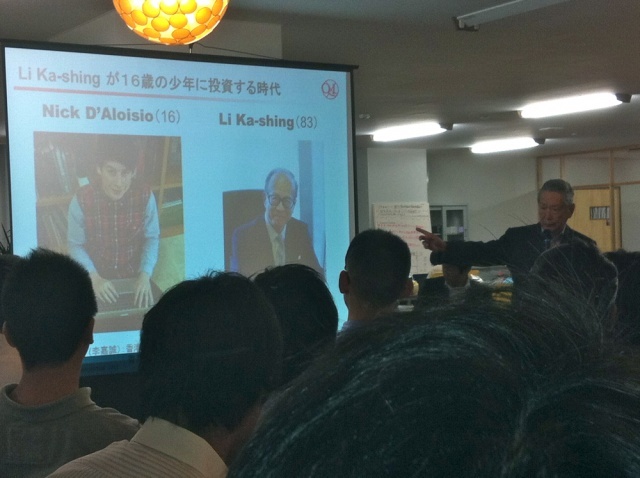 Then September 2012 – Sakakibara said proudly in front of a crowd with his trademark loudspeaker; “We will keep holding this event until Japanese Google or Japanese Facebook will be produced!”. He said to Japanese startups at the event called “Samurai Venture Summit (SVS)”. We were at the site and really touched by his passion. So we ran to him and said that we would like to do an interview. To be honest, we’ve never met such a formidable man. But we’re sure that his complicated background became a driving force for his challenges. 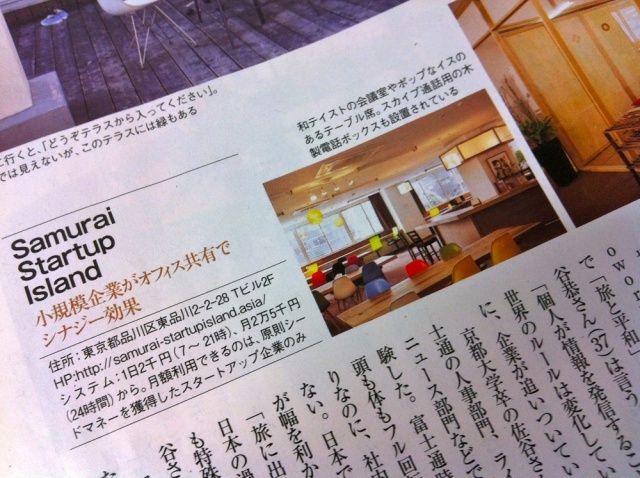 There are many reasons why I put “Samurai” on the name of my company and incubation office. One of them is that I named my sales force “Samurai Operation Headquarters” when I was working at a venture company called Voyage Group in Tokyo, where I was part of the team that started up. I wanted to encourage them a feeling of unity by calling it team Samurai. Another reason is the movie “Last Samurai” (2003). That movie is one which portrays samurai spirit objectively, and I realized that samurai spirit is thought highly of by people overseas. I’m greatly attracted to their spirit of self-sacrifice, like “I’ll fight until the end for all even if I’m the only one left”. Also soldiers of the New Government’s Forces bowed to Katsumoto, a soldier of the Shogunate Forces, even though he was their enemy during the civil war. I thought they were cool. Recently our sense of humility, integrity and politeness have won approval from overseas. Those are also manifestations which proceed from our samurai spirit. On the other hand, I don’t experience the sense of unity among us, especially young Japanese businesspeople. I don’t feel they band together for going to the global market. But as for sports, the national baseball team has rallied under the banner of Samurai Japan and national soccer team has joined the standard of Samurai Blue, and they made the world their stage. So I followed them. I wanted to form the Samurai Brigade in order to unify young Japanese startups and go into the world market together. Samurai is one of the major symbols of Japan so it’s easy to understand for people overseas. 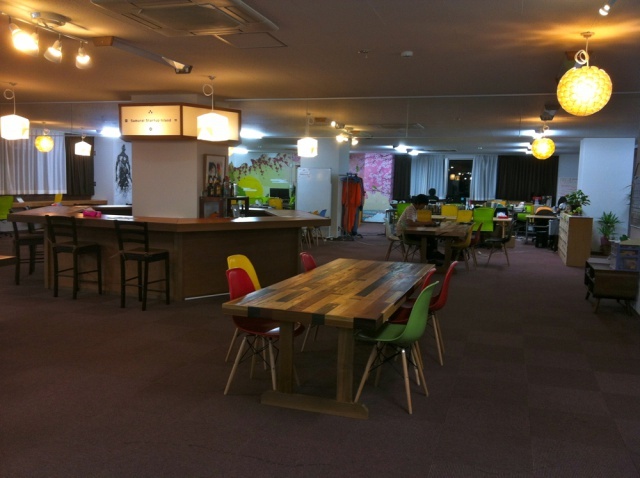 Samurai Startup Island, the 555-square-meter (5974-square-foot) incubation space in Tokyo. My career began with an employee of a medical equipment manufacturer. I used to be involved in social action programs when I was a university student, that’s why I stepped into the industry. But the reality was not as I expected. I worked at the company for three years and moved into an entirely new career – IT industry where I expected to be given a chance regardless of background. I transferred to a tiny venture company which had an office at an apartment from a large public company. So many people objected to my career change. But I joined a little, tiny company over the opposition and contributed to a huge growing sales like from almost zero to US$20,000,000. Moreover now people use the internet routinely even though they used to think that it was evil. I thought, “If I work hard, I can realize anything” and “The world will change if I stride ahead”. So I lost my fear of challenging in anything. Our slogan “Whether you can do it or not isn’t the point at all. Whether you DO it or not will change the world! !” was made up because I had such an experience. How many people will cry after I’m dead? It was interesting for me to be involved in company growth and my goal was to earn a high salary and drive a luxury car. I thought so until when I was 30. But once I got it done, I didn’t feel it was not interesting to have much money at all. Also I’d been thinking of the moment of my death since a long time ago; If someone says “I’m going to Sakakibara san’s funeral ceremony because he is my neighbor”, I don’t like it. I want somebody to say something like, “I’m going to his burial because he took care of me very much”. The more people say that, the better. I decided to start a life about achieving that kind of goal after 30. I had a track record of achieving US$20,000,000 annual sales from scratch with a few managers. So I wanted to support many entrepreneurs by using my experience. If I can live as I would die… so I launched the “Samurai Incubate“. It was the moment I set up my own company for the first time. 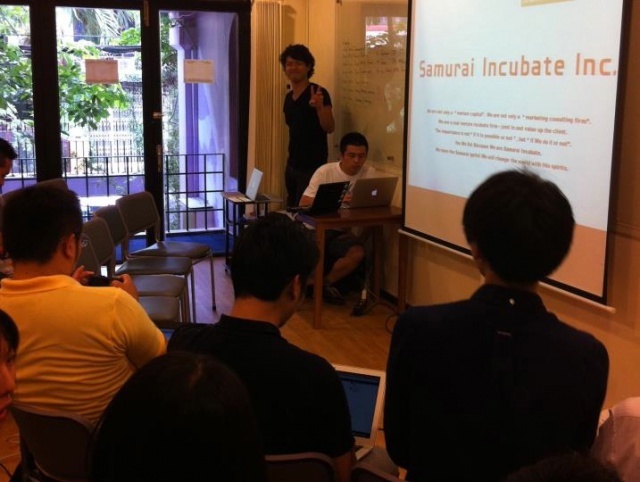 In 2008, when I launched Samurai Incubate, nobody else supported them even though many IT startups emerged in Japan. So I wanted to be a sales director of Japanese IT startups. As I mentioned before, I had an experience of achieving the sales of tens of millions of dollars from scratch so monetization was my specialty. I started an incubation business because I didn’t only want to provide funds for startups but also wanted to offer my know-how on monetization to them. Now our co-working space is huge, but originally I started my business in my apartment. Actually I wanted to make a closed school an incubation space, but METI, Ministry of Economy, Trade and Industry, said no because I didn’t have a record of incubation at that time. I had nothing but opening an incubation office in my room. At that time, my room didn’t have enough space for working, at most two people could work there. Entrepreneurs whom I supported had meetings together at restaurants. Then some entrepreneurs needed their office spaces, so I rented a house. I named it “Samurai House” and open it to startups. I not only worked with them, but also lived with them. So it was not a co-working space, it was a “co-living” space. Eventually one of the ventures I supported achieved a stock exit and also many startups asked me for advice, so I invested the exit profit on a new incubation space. Moreover, I got a boost from Terrada Warehouse Company. 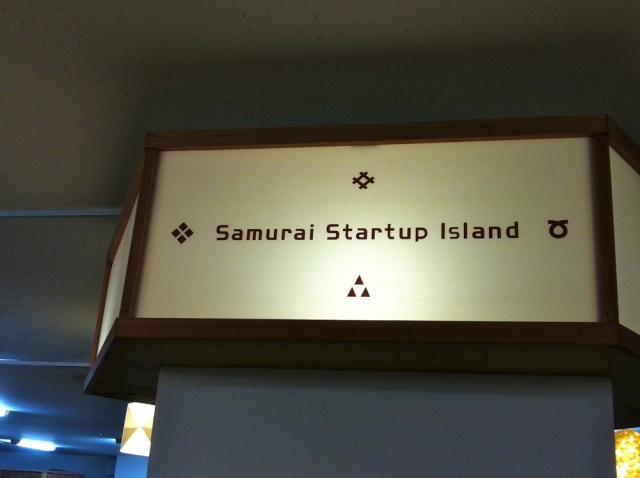 Then the new incubation space called “Samurai Startup Island” launched in November 2011. If this kind of space is created, many people will get interested and METI would also start an incubation business. It means the environment surrounding Japanese startups would change. Japanese tend to start something after someone else starts. So I always want to be in the vanguard because I like to do things that nobody has done. 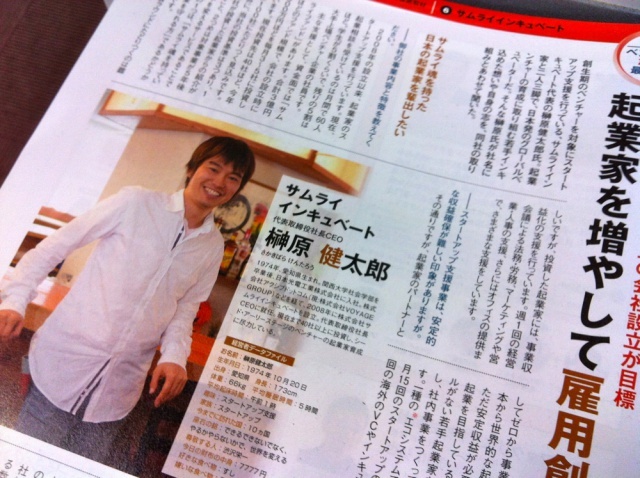 Articles that feature Sakakibara’s activities. You can see a photo taken on what was happening at “Samurai House” on the bottom-right corner. 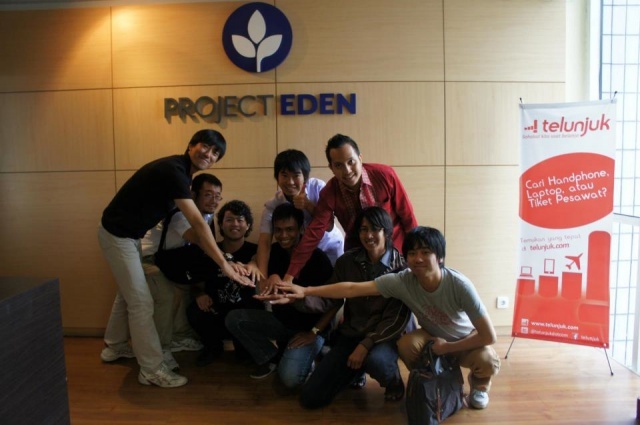 We organize the “Festival of Japanese startups” in addition to our day-to-day tasks. It’s called “Samurai Venture Summit (SVS)”. Not only ventures that we support but also other startups have little booths at the venue. We give them opportunities to pitch their services to visitors. Also we invite investors, serial entrepreneurs etc from home and abroad and hold lectures and panel discussions. In addition, we hold the presentation event called “Samurai Shout” in the festival, where startups make short presentations alternately. We held the 6th SVS in September 2012 and about 800 visitors came to the festival. It’s quite a big event, but the original idea was a drinking party. Startups that we support wanted to have an opportunity to know each other. But we added a pitch event to the party. That’s SVS. Only 50 people joined its 1st session (June 2010), but other startups who wanted our support joined its 2nd session, 3rd session, 4th session… SVS grew little by little. SVS started lightheartedly, so there’s no formal atmosphere at all. 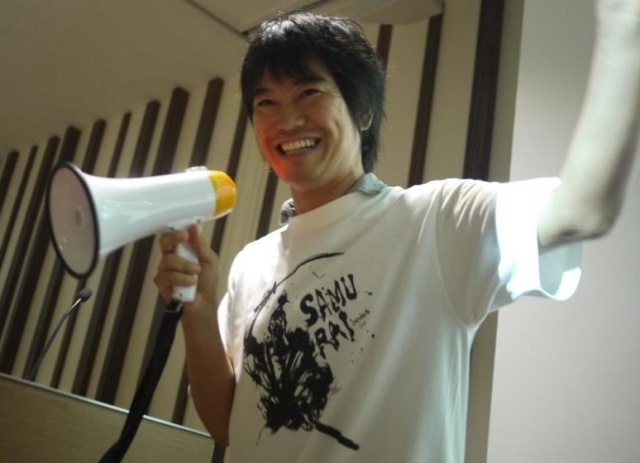 Especially as for Samurai Shout, participants fling jokes at presenters during the event and people laugh. It’s like a school festival. So I call it “Festival of startup’s school”. Organizer, startups and visitors create the event together. That means we want to create a place for aiming for a global expansion together, regardless of whether or not companies that we support. We want to foster an environment for creating Japanese companies that will make successes in the world. In order to spread our ideas around Japan, we organized SVS in places other than Tokyo, such as Fukuoka, Kagawa and Nagoya. We’re also planning to hold the festival in Okinawa (It’s ended at the beginning of October 2012) and Hachinohe, Aomori Prefecture. It’s exactly the same as the Japanese national baseball team, which plays against other countries in the world under the banner of “Samurai Japan”. 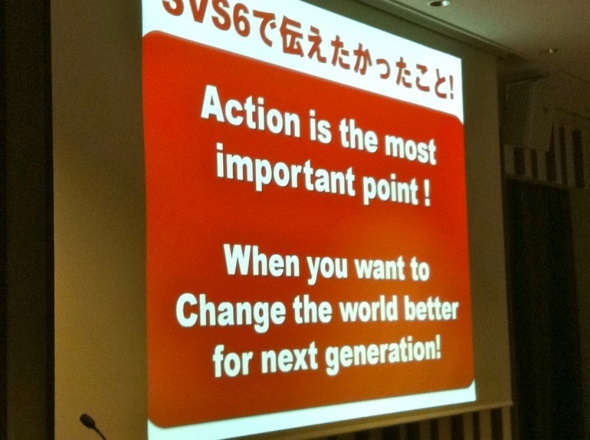 We would be very happy if everybody started thinking of changing Japan or energizing Japan because of SVS. We hold the Samurai Venture Summit not only in Japan but also overseas. We took some ventures that we support to the Silicon Valley’s startup event called “TechCrunch Disrupt” as exhibitors some years ago. 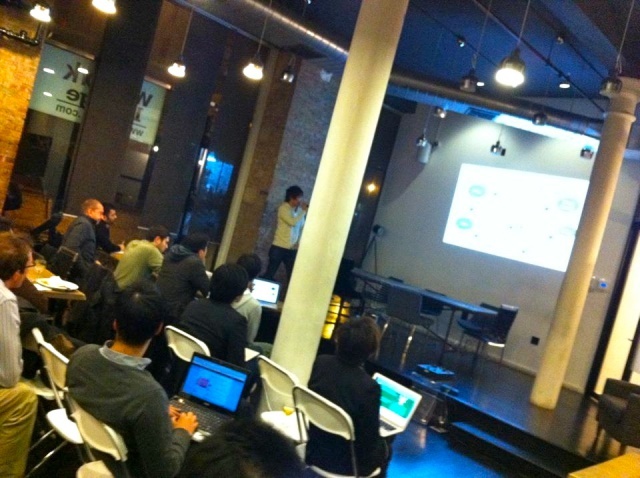 That’s why we held the first Samurai Venture Summit outside Japan in Silicon Valley in September 2011. Then we held it in New York (February 2012), Thailand, Vietnam and Indonesia. And we went back to the Silicon Valley in September 2012. 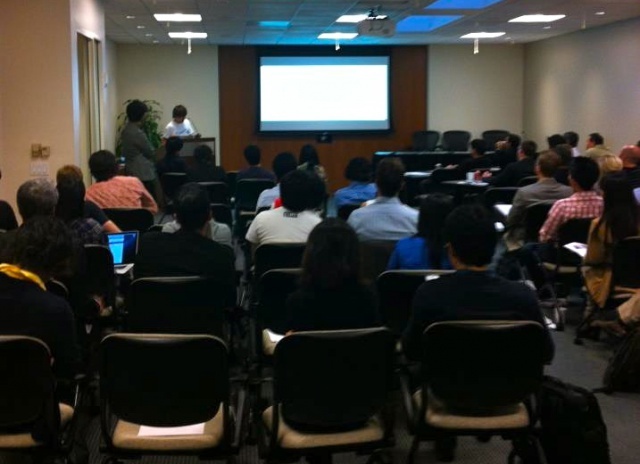 Participants in the 1st session of SVS Silicon Valley were mainly Japanese, but local people came to the 2nd one. It is meaningless if you don’t appeal to the local people now that you are overseas. 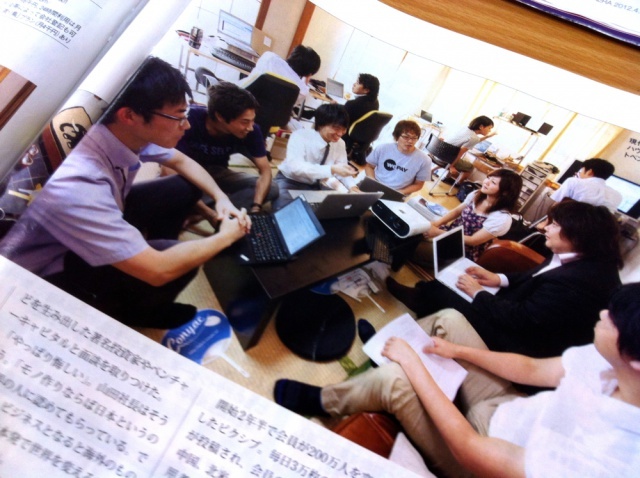 In that sense, our company name “Samurai Incubate” has a powerful impact on people overseas. Our name spread especially in Silicon Valley and some thought that we were based there. So we hope that in the next year or so we’ll open our office in Silicon Valley. There’s no Japanese who incubate Japanese startups over there, so they don’t know whom they ask when they go to Silicon Valley. More than that, there’s no Japanese incubator who invests in five companies a month. So we would like to create an environment for Japanese startups to challenge bootstrapping in Silicon Valley. I always think like that, but actually I’m a fourth generation son of a shop owner of Japanese traditional instruments (Koto/shamisen) which has been in business for about 100 years. My father is a craftsman and manager who is a man of few words, like a typical artisan. I treasure samurai spirit, it could be because I’m descended from a traditional craftsman family. I don’t know if that’s the reason, but I strongly feel that I’m Japanese. So I really want to contribute to Japan’s economic revitalization as a Japanese. Our forerunners arose from a devastated land after defeat in the war and aimed for making Japan the “world-class cool country” from scratch. The world-famous enterprises such as Toyota, Honda, Sony, Sharp etc were built in the process. That’s why we can enjoy amenities of life. But some of those companies are now miserable. So now is the time to give back to those who came before us. If the present trend would continue, for example, Sony might be taken over by Facebook or Google. We must avoid such a consequence any way we can. Also we have to build world-class companies like the ones our forerunners built in order to reward them. However, manufacturing industry cannot cope quickly with the change of the times because the pace of change is really fast now. That’s the reason we are tackling with creating the global services with information technology. Japan is becoming an aging society with a falling birthrate. It means the size of its labor pool will be much smaller than before. But we’ll be able to enrich many people’s lives through IT and support a graying society with fewer people because IT services don’t need a large workforce. We shouldn’t think that supporting forerunners is a burden to us. It’s natural for us to support them because Japan could become an economic superpower thanks to them. If we could create global companies, I believe that Japan would be able to get money from all over the world. Nobuyuki Idei, former Sony CEO, delivers the speech. The services created by Japanese entrepreneurs are not inferior to ones created in Silicon Valley. I believe that Japanese services are even better than ones from Silicon Valley. So if we improve our English skills and build our networks of contacts over there, we would be able to create global services that overtake Facebook. If you are invested in by the American famous venture capitals such as Sequoia Capital or Kleiner Perkins Caufield & Byers (KPCB), it’s clear that you’ll succeed in the global market. Then if we can show successful experiences to the world, American VCs will come to Japan and look for investment destinations here. If so, Japanese VCs will get square with American VCs. And eventually we will regain the “economically strong Japan”. But in order to realize that, entrepreneurs and their supporters need to “take a step forward”. We tend to keep in line with others, but we shouldn’t. I used to dedicate myself to the social action programs. When I was a university student, I joined a social contribution club on strange occasions. Then I played with kids at orphanages or elementary schools in less-populated areas. After that, I became a member of the NGO which donates houses and foster homes to Cambodia and builds playground equipments for Cambodian kids. I’ve still been working on social contribution even since I became an incubator. For example, we donate 1% of our annual earnings to NPOs and NGOs. 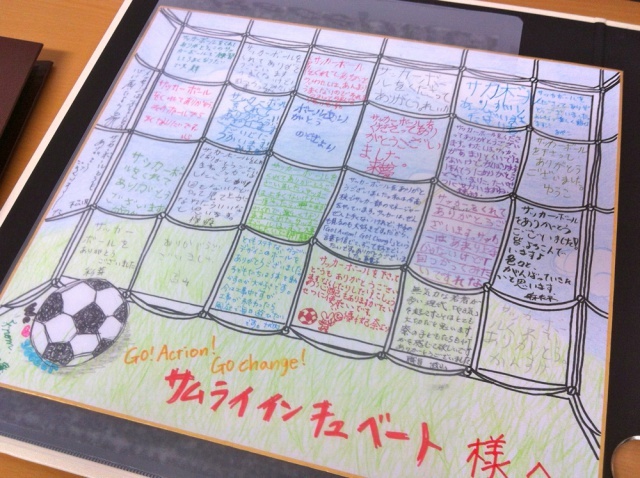 Also we gave 60 soccer balls to orphanages throughout Japan. Actually social action programs are very meaningful and people become happy from them, so they’re worthwhile and I really enjoyed them. But let me think more broadly. If you generate jobs and provide money to people, they can make happy homes and live comfortable lives. I think that’s the best way of social contribution. So now I’m focusing on creating entrepreneurs. Also “Samurai Venture Summit” will be held in the Tohoku Region because we think that the revitalization of the quake-stricken areas by IT startups must be possible. Reconstruction is time consuming so that’s a government’s job. We want to contribute to creating new things from scratch in the devastated areas. How do you want to change Japan? There are still only a few entrepreneurs and examples of bootstrapping. It’s because Japanese startups tend to think like “I have to manage a company until I die once I found a company”. Instead M&A, selling out or assignment of business is OK, I think. Then they turn incubators or serial entrepreneurs. I want to promote that way. And I think politicians must be people who used to be entrepreneurs. Otherwise Japan won’t revitalize. We want to support not only IT startups but also craftsmen and manufacturers. Eventually we want to be the sales directors of Japan itself. What do you want to realize when your goal “changing the world” is achieved?